Almatech has been entrusted by Airbus Defense and Space to finalize the design and to take complete responsibility for the manufacturing, process and material qualification, acceptance tests and delivery of the 4 models of the Sentinel-5 Instrument Optical Module Structure and Radiators (IOMSR). The IOMSR is an ultra-stable structure made out of numerous sandwich panels and composites struts that has stringent thermo-mechanical stability requirements. 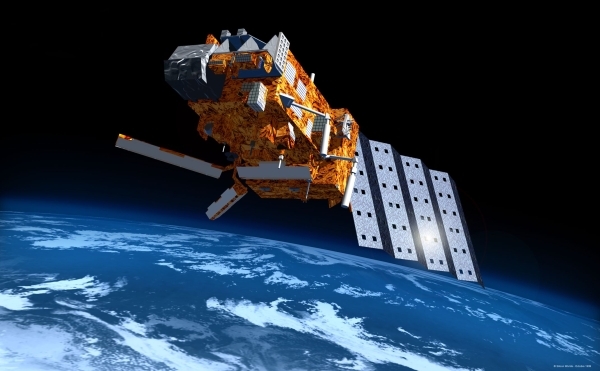 The SENTINEL-5 mission is part of the European Earth Observation Programme “Copernicus” which is coordinated and managed by the European Commission (EC). The Sentinel-5 mission focuses on monitoring of trace gas concentrations and aerosols in the atmosphere to support operational services covering air-quality near-real time applications, air-quality protocol monitoring and climate protocol monitoring. The mission is a s ingle payload, the UVNS instrument which is a high resolution spectrometer system operating in the ultraviolet to shortwave infrared range with 7 different spectral bands. The instrument will be carried on the MetOp-SG A satellite.